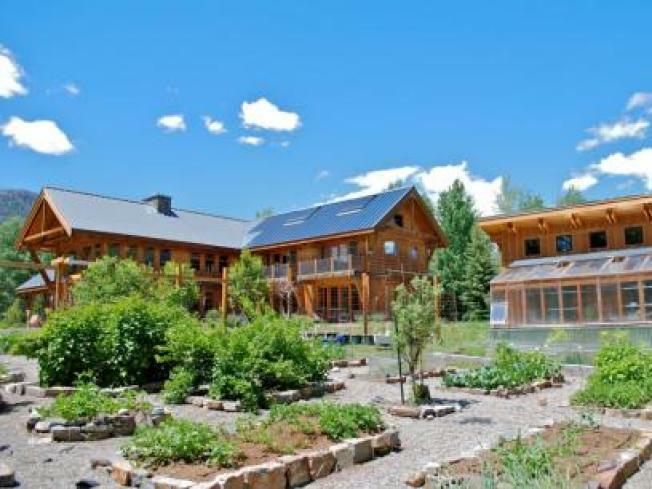 Situated in famed ski enclave Ketchum, Idaho, sleeping Bison Lodge incorporates solar technologies— including overhanging roofdecks and concrete flooring—in order to achieve most of its heating needs naturally. The first home of its kind in Idaho! A xeriscaped garden is planted with mostly native species, including tall buffalograss. High ceilings, stone fireplaces, and warm wooden finishes throughout give this home a rustic feel. Its very design lies at the forefront of green building. View property.